Slated to include two very potent online marketing seminars in one, the Arizona Small Business Development Center has invited David Mink and Mat Siltala from Dream Systems Media, a Phoenix-based web-marketing firm, to speak at their upcoming online marketing seminar on Thursday, March 15, 2012 at the Eastern Arizona College Academic Programs Building. I'm thrilled to have a chance to go back to Eastern Arizona College. I had a fantastic college experience there and I hope to share something with the local business community that will pass lasting value. Slated to include two very potent online marketing seminars in one, the Arizona Small Business Development Center has invited David Mink and Mat Siltala from Dream Systems Media, a Phoenix-based internet marketing firm, to speak at their upcoming online marketing seminar on Thursday, March 15, 2012 at the Eastern Arizona College Academic Programs Building. Beyond the fact that both speakers are certified experts in the field of web marketing, what makes this invite so special is that both Mink and Siltala received their Associated Degrees from Eastern Arizona College. 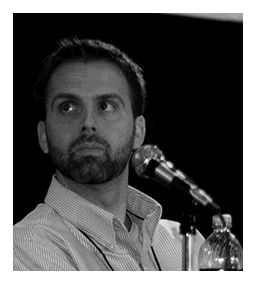 Although Mink went on to get a marketing degree from BYU and a law degree from the University of Alabama, the two later became business partners in the field and now speak at events nationwide including, Siltala’s recent appearance at Pubcon Hawaii and Mink’s speech at Pubcon Las Vegas. Presented by Mink, the first of the two seminars is entitled “Social Media - Secrets to Converting Customers Using Social Media” – an educational discussion that aims to reveal the various social media platforms and uncover the strategies that are bringing new customers and clients to businesses that understand social media. Presented by Siltala, the second seminar in the series is entitled “Leveraging the Power of SEO with Your Local Business” – a segment that emphasizes local SEO and how these simple yet powerful Internet marketing techniques can be leveraged by small and local business owners to catapult past the competition. "Going back to the place where it all started for David and I has been a goal of mine for a long time,” continues Siltala. “I have been wanting to give back to the amazing community because it gave me so much." With an education from Eastern Arizona College and years of applied knowledge in the field of Internet marketing, both Mink and Siltala are excited to return to the institution that helped to equip them with their tools and, in turn, the college is excited to show off some of their successful alumni at the upcoming online marketing seminar. This event is scheduled for Thursday March 15, 2012 from 6:00 PM to 8:00 PM MST and will be held at EAC Academic Programs Building, Room #109 (673 N. Stadium Ave) in Thatcher, AZ. Learn more about the seminar here http://events.r20.constantcontact.com/register/event?oeidk=a07e5hgt7ep75b3e08f&llr=qbighjcab. Mink and Siltala will also be making a guest appearance Thursday morning on the KXKQ 94 FM Kat Kountry morning show with Reed Richins to discuss the seminar. 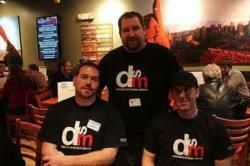 DSM is a trend setting Internet marketing and development firm, with locations in Utah and Arizona. With over 25 years of Internet Marketing and Internet Development experience, Dream Systems Media's experience and industry contacts allow us to be among the best in the game for Search Engine Optimization, Social Media Marketing, and Mobile App Development.